Custom Audio Electronics (CAE) is dedicated to providing musicians with the best possible equipment on the market, which is why owner Bob Bradshaw starts every custom pedal board with the DigiTech® Whammy™ Pedal. Celebrating 20 years of success in Los Angeles, CAE continues to provide excellent musical solutions to guitar enthusiasts around the globe. "The Whammy has been a staple in my custom pedal board setups from the beginning," said Bradshaw. "From its simplistic design to its powerful note-bending ability, the Whammy should always be the starting point for any guitarist, young or old; professional or novice." Bradshaw, a legendary guitar systems designer, has designed and constructed pedal boards for multiple guitarists in bands including: Green Day, Elton John, U2, Van Halen, Lenny Kravitz, James Taylor, Prince, Motley Crue, Blink 182, Peter Frampton and many others. "Hearing a Whammy in action is the ultimate treat for fans coming to see their favorite band," continued Bradshaw. "With the pedal, the artists can take their hit songs and completely rework them for an even greater experience. I'm very proud of my work and the Whammy ensures I provide my customers with the greatest sound possible." Twenty years ago, the Whammy pedal made its debut and to this day continues to support guitarists on stage, in the studio and in jam sessions around the world. To commemorate the past 20 years of success, DigiTech released 2,000 limited edition, chrome-platted, hand-signed Whammy pedals for collectors and musicians alike. 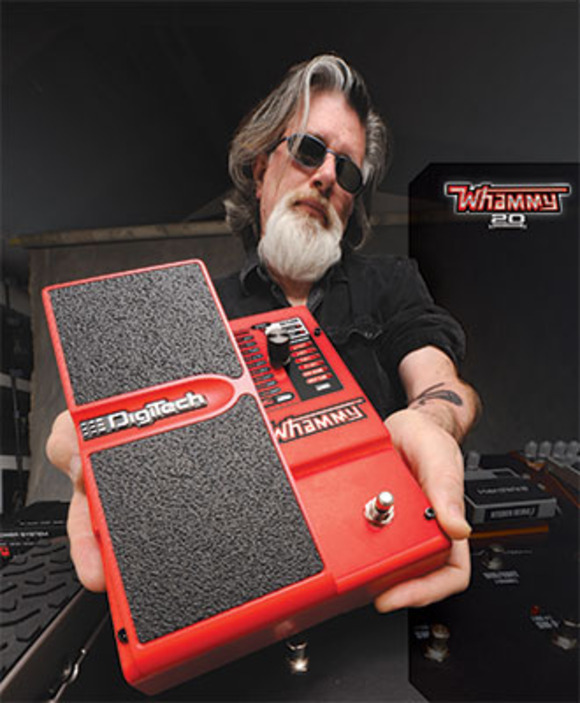 "Harman takes great pride in the DigiTech Whammy pedal, just as Bob takes great pride in his custom pedal boards," said Rob Urry, President of the Harman Music Group. "We are very excited to continue supplying state-of-the-art pedals to musicians through Bob and CAE."